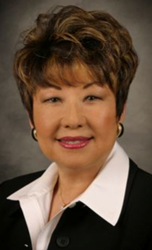 Michi Olson, vice president of Global Business Development & Relocation for APR, will lead the delegation in China. Alain Pinel Realtors (APR) will dispatch a delegation of 15 APR agents to Shanghai on Dec. 5, 2017 for a week of meetings with potential buyers and investors interested in San Francisco Bay Area real estate, as well as meetings with strategic partner companies in China. The trip is part of APR’s participation in the Dec. 8-10 Luxury Property Show (LPS) in Shanghai. Olson, who leads APR’s international relocation services, will also be a speaker at an LPS seminar on Dec. 9 regarding Bay Area real estate. The brokerage frequently sends groups of Realtors and leadership team members to China to gather information on Chinese consumer habits, regional and national economic trends and the interests of the country’s international home buyers.